President Obama has had quite a prolific run as of late in terms of combating violence. 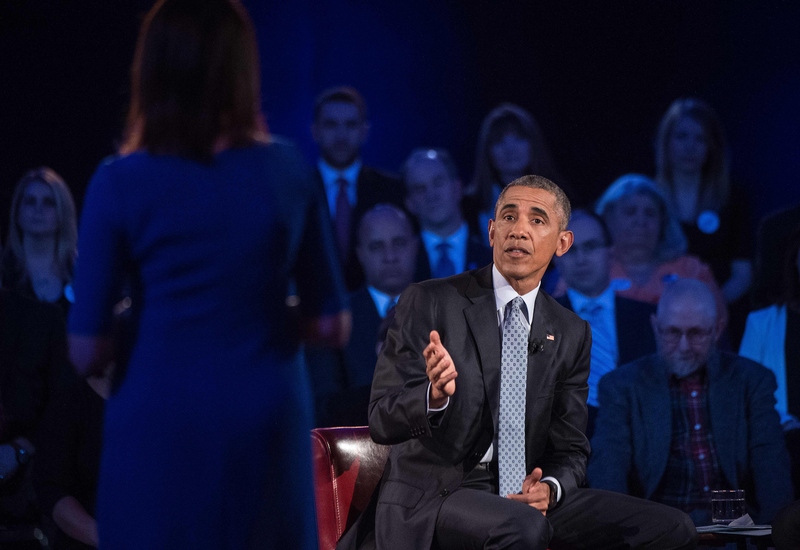 The commander in chief announced plans for executive gun control actions on Tuesday. He is additionally setting his sights on thwarting extremism and recruitment. The White House is responding to violent extremism by releasing "new initiatives to improve our international and domestic efforts to counter" such groups like ISIS and al Qaeda, according to a press release issued on Friday. The primary initiative in the fight against such extremism is set to be a multi-faceted task force. The Department of Justice and the Department of Homeland Security have joined forces for the Countering Violent Extremism Task Force. Federal as well as local agents will be involved. It is rumored that the government is looking to enlist the help of the tech world in their efforts and will reportedly be announcing further details of their plans in Silicon Valley on Friday as they meet with important companies in the region. This decision to pursue a partnership in the private sector was directly highlighted during Obama's Dec. 6, 2015 address to the nation regarding ways to combat terrorism. Given the proliferation of online recruitment efforts, it comes as little surprise that the president would be setting his sights on continuing the battle against violent extremism on the web. "Today’s developments reflect President Obama’s commitment to take every possible action to confront and interdict terrorist activities wherever they occur, including online," the press release concluded. The companies that will reportedly be in attendance at the Silicon Valley meeting with White House national security representatives include Apple, Facebook, Google, LinkedIn, Microsoft, Twitter, and Yahoo. Social media will be one of the primary focuses of the summit. A White House official elaborated on their plans for the high profile high tech meeting, telling BuzzFeed News that "the White House sees Silicon Valley as an integral part of fighting the propaganda from ISIL and other groups. There needs to be a concerted effort to fight the ISIL propaganda." This potential partnership as well as additional efforts made by the State Department will reportedly become part of what is now known as the Global Engagement Center. The major White House announcement on Friday shows that Obama seriously means business as he continues the final year of his last term as president. Rather than be a lame duck in the face of a looming 2016 election, Obama is working towards gun control and bolstering the government's efforts in the fight against violent extremism.